For increased privacy of Aadhaar holders, the Unique Identification Authority of India (UIDAI) has introduced a temporary 16-digit virtual Aadhaar ID that can be used in place of their Aadhaar numbers for authentication purposes. Virtual Aadhaar ID is aimed at minimising instances of leak and misuse of Aadhaar numbers. 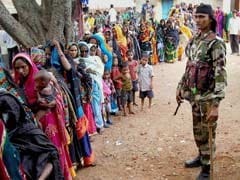 New Delhi: For increased privacy of Aadhaar holders, the Unique Identification Authority of India (UIDAI) has introduced a temporary 16-digit virtual ID for Aadhaar holders that can be used in place of their Aadhaar numbers for authentication purposes. The new system, aimed at minimising instances of leak and misuse of Aadhaar numbers, will be effective from end of March. 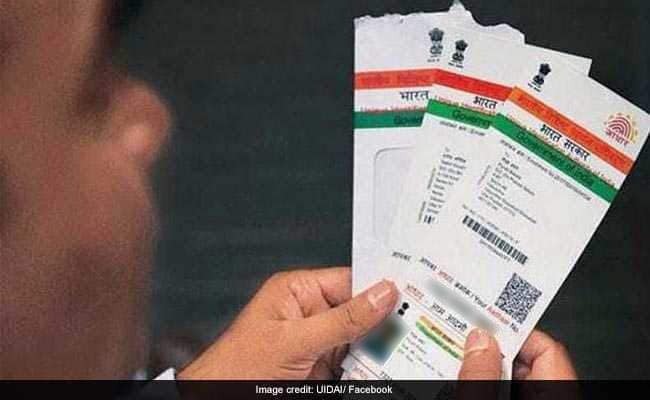 The announcement comes at a time when privacy concerns around Aadhaar are at peak after a newspaper expose on unauthorised access of the UIDAI database earlier this month. It isn't just the banks and income tax but an increasing number of private agencies too have started demanding Aadhaar number of their clients to authenticate their identity. By end of March, however, people will have an option not to do so. They will be able to share a Virtual ID instead. A Virtual ID is a temporary, revocable 16-digit random number that is mapped with the Aadhaar number. The users will be able to generate, retrieve and revoke their Virtual ID number from UIDAI website, mAadhaar mobile app or Aadhaar enrolment centres. The temporary virtual ID will give only limited details to the authorized agencies. For any kind of verification, only name, address and photograph will be shared. This will reduce the number of people who will know your Aadhaar number. At any given point in time, there will only be one active and valid Virtual ID for any Aadhaar number. The Virtual ID will be revocable and a user would be able to generate as many Virtual IDs as he or she wants. The older ID would automatically get cancelled once a fresh one is generated. Since Virtual ID is temporary, agencies will not be able to use it to remove duplicates or ghost beneficiaries from their database. They will still need Aadhaar to do this. Only Aadhaar number holders would be able to generate a Virtual ID. Identities like Authentication User Agency (AUA) and KUA (KYC User Agency) cannot generate Virtual ID on Aadhaar holder's behalf. UIDAI will set a minimum validity period for Virtual ID and the user would be able to replace their ID from time to time. All the authorization agencies and e-KYC services will have to ensure Aadhaar number holders are able to use Virtual ID. From June 1, 2018, it will be compulsory for authorized agencies to accept virtual ID for authentication. UIDAI has also introduced another feature called 'Limited KYC' which provides need-based or limited details of a user to an authorised agency.